My parents liked his music and that is how I became aware of Glen Campbell. I didn’t care for most of what he did, but three songs I really liked: Galveston, Wichita Lineman, and By the Time I Get to Phoenix. Of these three, By the Time I Get to Phoenix was my favorite. The angst, even to my young ears that didn’t know that’s what it was at the time, seeps from this song even wrapped up in pretty music and a beautiful, benign voice, and perhaps that is why it appeals so much to me. Ironically, this song could have been the soundtrack for Glen Campbell’s personal life: he went through three marriages and several tumultuous relationships (the most notorious was with fellow country music singer Tanya Tucker in the early 1980’s), before finally settling down with his fourth wife, Kimberly, to whom Campbell remained married until his death. 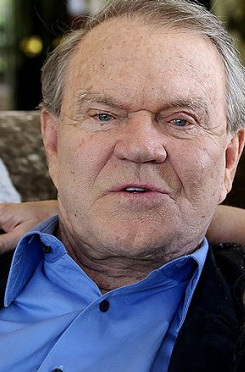 Glen Campbell was diagnosed with dementia (Alzheimer’s Disease) in 2011. There is no doubt in my mind that his long-time struggle with alcohol and drug abuse was a lifestyle contributor to Campbell’s development of dementia. 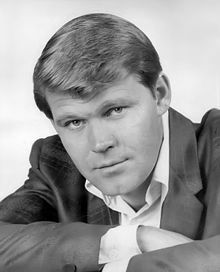 Glen Campbell died on August 8, 2017, at the age of 81.